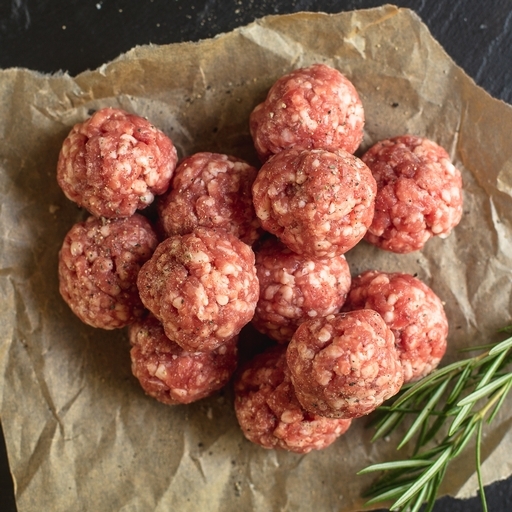 The ultimate lamb meatballs: a superlative blend of organic lamb from small West Country farms, hand-rolled in our own butchery. We don’t add salt to the mix, as this has been found to break down meat proteins and ruin the texture; instead, our meatballs are pure lamb, for the tenderest, juiciest mouthful possible. 12 lamb meatballs per pack. Season generously with salt and pepper. Fry or grill on a medium heat for 8-10 mins until thoroughly cooked through, turning frequently so that they colour evenly. Alternatively, brown them quickly in a hot pan and finish cooking them gently in a sauce or stew for at least 10 mins.